Former New York mayor Michael Bloomberg took a shot at President Donald Trump's claims about his wealth during an interview with Germany's Der Spiegel. 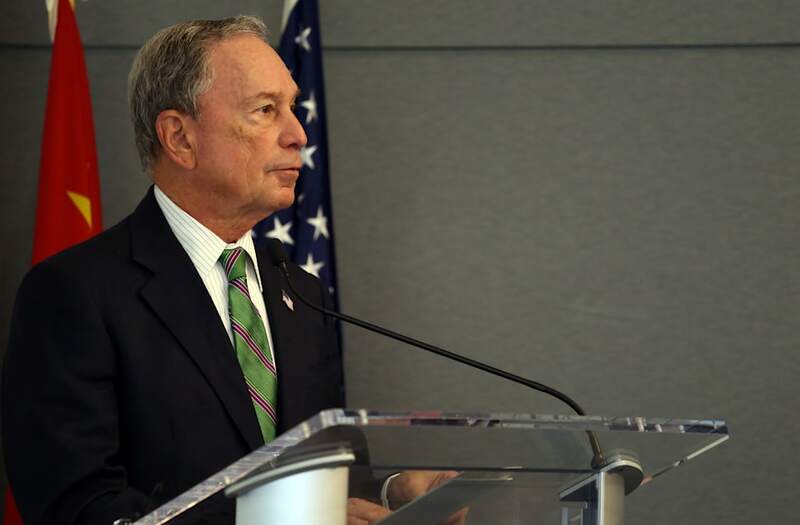 Bloomberg touched on several topics during the interview, including his efforts to combat climate change after Trump pulled the US out of the landmark Paris climate pact, his take on the turbulent presidency so far, and possible 2020 presidential candidates. When Der Spiegel asked whether he would run for president in the next national election, Bloomberg said he wouldn't and that he felt he could "change more" in his current position. "Do you not find it ironic that it is two billionaires from New York who are now deciding America's climate policies?" interviewer Juliane von Mittelstaedt asked. "I don't know if I would say it that way," Bloomberg replied. "Let me phrase this carefully so you get the message: I don't know how wealthy other people are." "You mean that Trump may not be a billionaire?" von Mittelstaedt asked. Trump made his wealth and business acumen key pillars of his 2016 presidential bid. He kicked off his campaign by saying he was "really rich" and worth $10 billion. As of February 2017, however, Forbes pegged Trump's net worth at around $3.5 billion, down $1 billion from last year. Bloomberg's net worth, according to Forbes, is around $53 billion, making him the 10th richest person in the world. Trump's net worth didn't crack the top 500.